Horton Foote. Photo courtesy of Writers Guild of America. You can now Google map the town of Wharton, Texas. You can view Horton Foote’s homeland from satellite, zooming in or out at will. If you zoom in, you can see it from street level, low buildings, scrub, a pickup truck. If you zoom out, you find the towns whose names we know from Horton’s plays—El Campo, Glen Flora, Egypt. Further out, your see those complicated Meccas of Houston and Galveston. Keep pulling back and you can locate the poles of Horton’s life—Pasadena, California on the West, where he went as a teenager to study acting—and New York on the East, where, as an actor, he came at age 20 and where, for 73 years, his theatre life was centered. Farther north is a later artistic home, Hartford, and farthest, the family’s home in New Hampshire, where he wrote, among other things, the nine plays of his Orphans’ Home Cycle: including Lily Dale, The Widow Claire, and On Valentine’s Day. First, there is the quietness, or the lack of sound, and then very faintly I begin to hear the tree frogs, the katydids in the pecan trees around the courthouse square. I hear the waltz of a Mexican dance hall, the blues from a black restaurant, a woman saying good night to a neighbor, a whistle from some mockingbird that mistakes the brightness of the night for daylight. I was born and raised here. I know the people. I have heard a hundred times the tales of the town’s beginnings, the events of its life from the time it was established. A great rememberer must begin as a great sponge, and this is how I picture young Horton Foote, a bookish boy with those same astute, merciful eyes, seeing everything, listening to everything, soaking everything up. That’s how he presents himself, too, in his memoirs and essays, the listener among talkers in a time of stories, when living rooms and sitting rooms, gallery porches and dining tables were the stages of the world. Life was played out there, but more, it was recounted. In Horton Foote’s plays, as on the domestic stages of his childhood, the big scenes often happen elsewhere, offstage. Usually, they’ve already happened. Fathers drink and die. Women marry men they must marry, not the ones they choose. A mother abandons her son to make a home for her daughter. A son walks into the water to drown. Fortunes are lost, children die, farms go to seed. Whole towns fall off the map. Out of memory, Horton gives us life at its most concentrated and full. But even more than life, his gives us lives. These lives, especially those of his parents and grandparents and their relations—overheard, pieced together, imagined—are so rich for the rememberer, so ongoing, that he must detail them in their entirety—1890, 1911, 1917 and 18, 1924, ’53, ’87. These lives are as real to him as those of the present, maybe more real. And so he spends his long lifetime making them real to us in turn. The world won't stop changing, Horton reminds us of that. Memory is a bulwark not against that change but against the loss it brings. Jenny Dare Paulin and Bill Heck in the first installment of The Orphans’ Home Cycle at Signature Theater. Photo by Sara Krulwich/The New York Times. The world won’t stop changing, Horton reminds us of that. Memory is a bulwark not against that change but against the loss it brings. You can almost break his plays down along memory lines—those who would remember—who must remember—and those who would forget. I love how in his plays people introduce themselves by talking about their parents, who their people were, what happened to them. It’s almost a way of making love, as in this scene from Courtship between Horace Robedaux and Elizabeth Vaughn—the characters based on Horton’s mother and father. ELIZABETH. My mother was born on a plantation on Oyster Creek. Her father was a planter. But he didn’t prosper. My father came from East Columbia. His father died when he was twelve. HORACE. My father died when I was twelve. ELIZABETH. Yes, I know. Your mother lives in Houston. HORACE. Yes, I don’t like Houston. I like it better here. LILY DALE. I want to think of now. This minute. Why do you always want to talk about the past? What Papa did or didn’t do? I don’t care what he sang and I don’t care what he called me. All I know is that he smoked cigarettes like a fiend and was a drunkard and broke my mother’s heart, and he died and left her penniless to go out into the world to work and support two children. We dwell in the feeling of the past or we deny it. Both have a powerful energy, both carry a mighty freight. This struggle between remembering and forgetting, between forward and back, activates Horton’s plays and becomes his true subject. 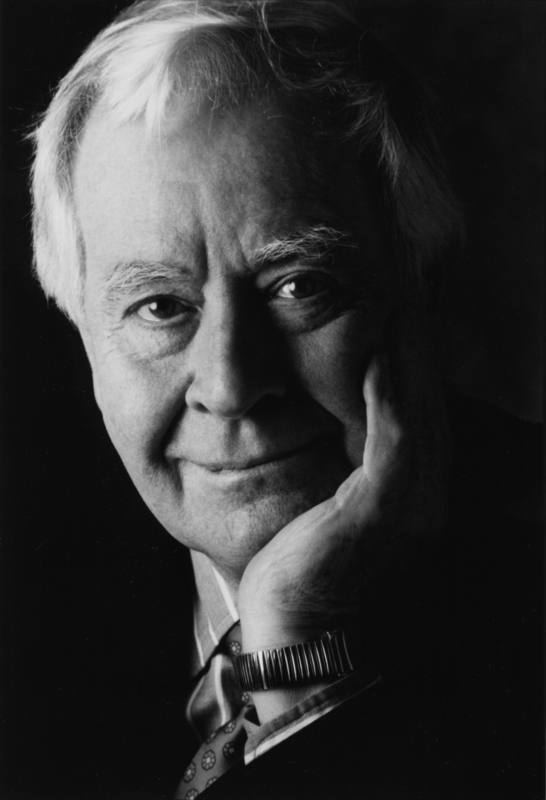 Nothing is ever gone, Horton Foote proves, as long as there are people to remember, to write it down. Nothing can be lost, as long as there are artists brave enough and persistent enough, to try and capture the ephemeral grace of our lives. Genesis of an American Playwright by Horton Foote, edited by Marion Castleberry, Baylor University Press, Waco, Texas USA, 2004. Beginnings: A Memoir, Scribners, New York, NY 2001. Three Plays: Dividing the Estate, The Trip to Bountiful, and The Young Man from Atlanta, Northwestern University Press, 2009. Insightful comments, Mr. London. Thank you. Horton Foote fans may be interested in the dramatic festival of Foote plays to be put on in the Dallas Metroplex in March and April.